With 3 straight days of consistent South East winds, it is no surprise to see the numbers of fish going up. 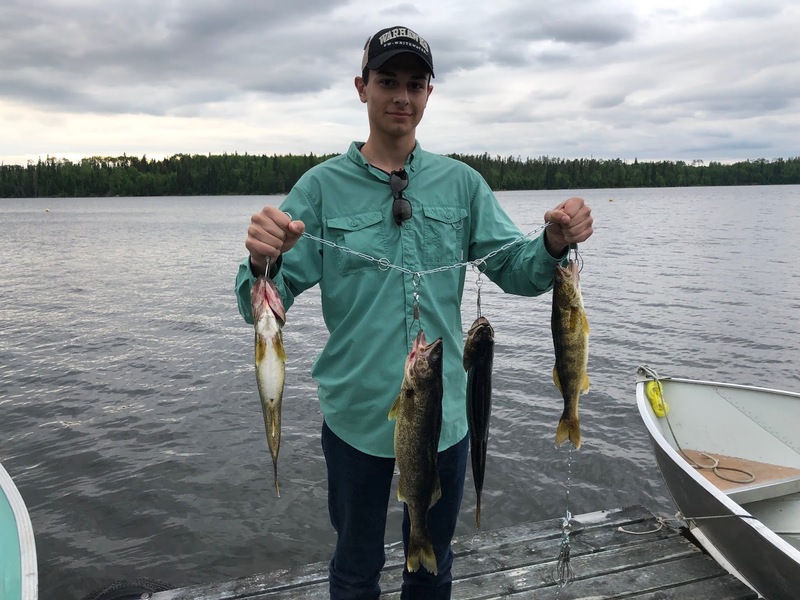 We are seeing really good numbers of 14-18 inch walleyes and some fishermen are hitting schools of 20-24 inchers. The biggest this week so far is 28 inches. 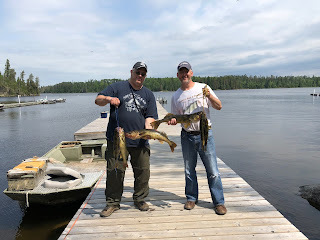 We have also seen a few nice pike (40in+) including a 42 incher caught off the swim dock using a fly rod! 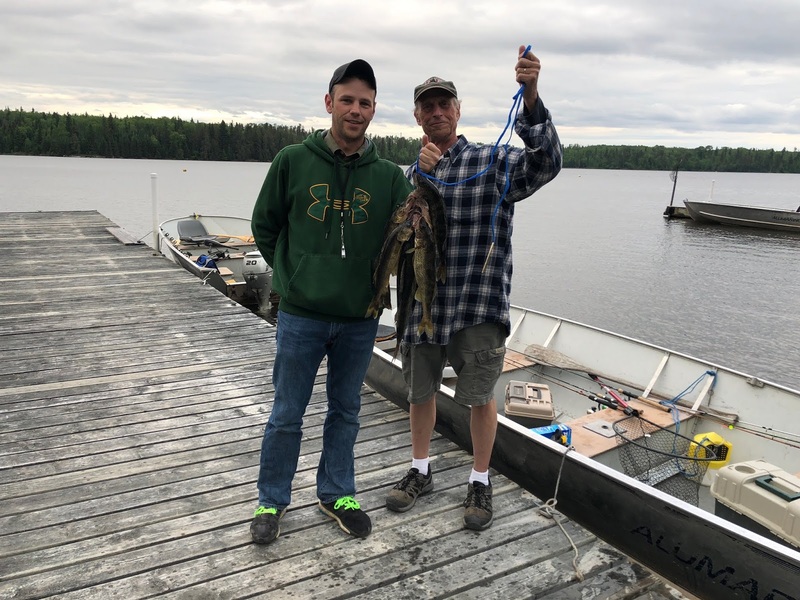 Trout fishing has been spotty due to the high winds making it tough to fish the big water, but we have seen some caught everyday. 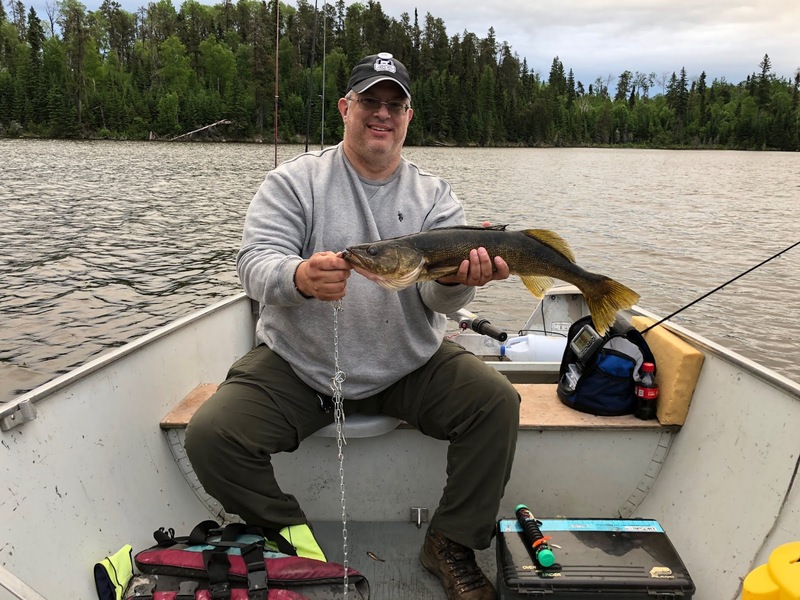 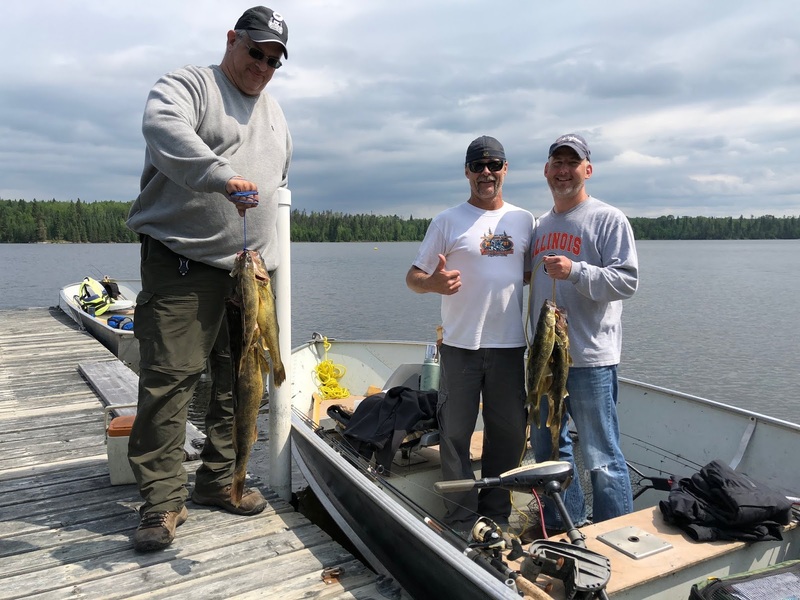 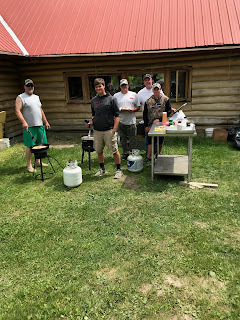 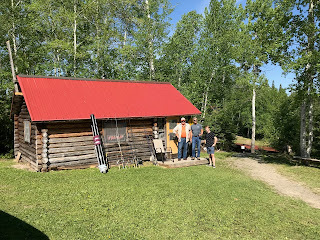 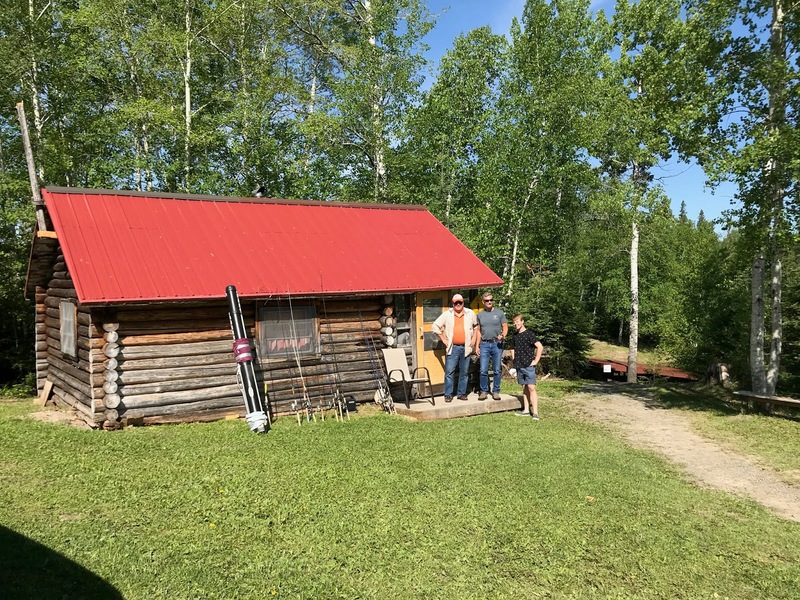 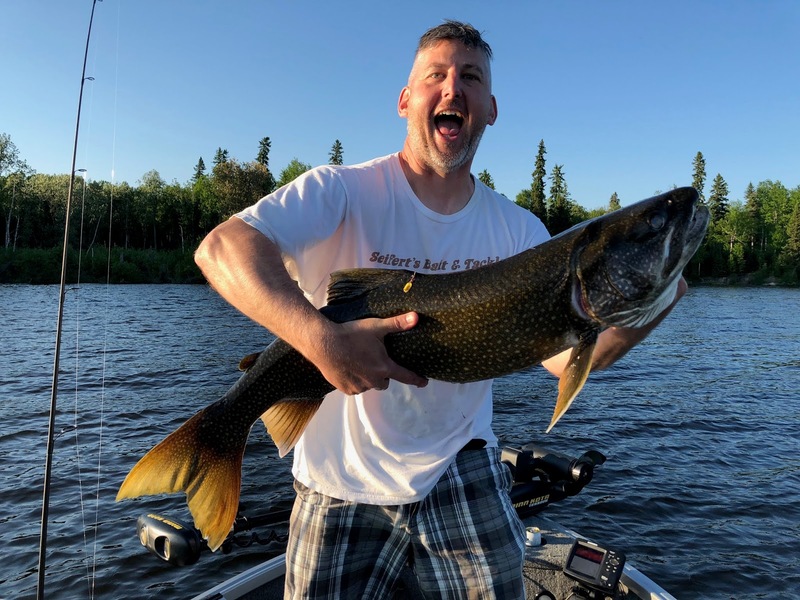 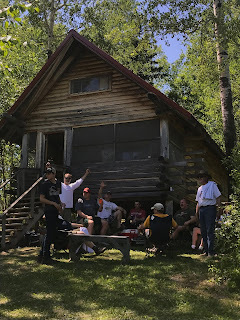 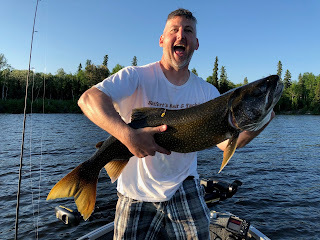 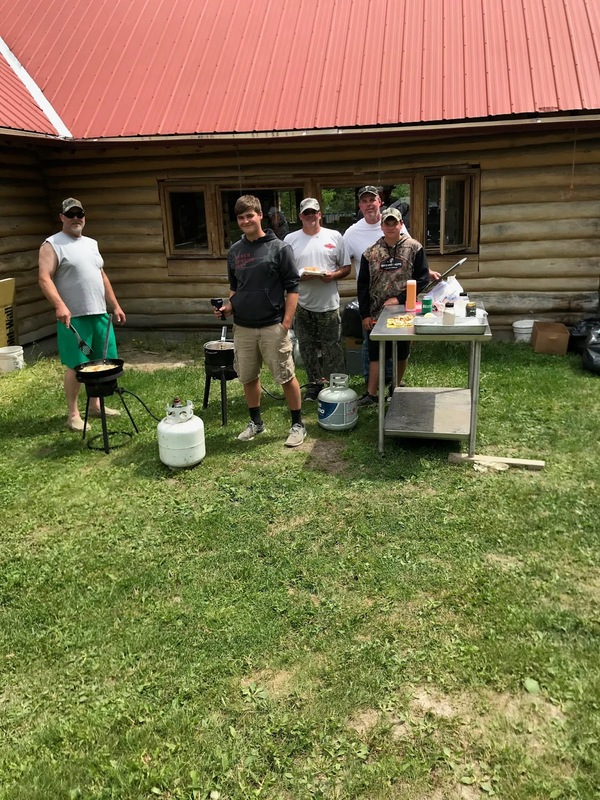 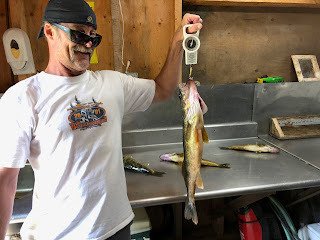 With the abundance of under 18in walleye being caught, we have also had many groups doing multiple shore lunches already (with more scheduled for tomorrow). 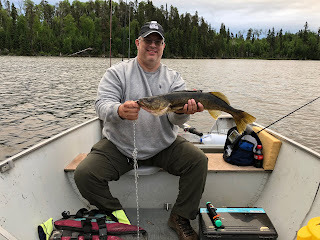 Yep, I am enjoying my lunch breaks!